All our housekeepers are trained and experienced professionals who will make your property look its best. Inspectors check each unit after it is cleaned and also report any maintenance problems before a guest checks in. We want to ensure that our guests are able to relax and enjoy their vacation, and the first step in making this possible is ensuring their property looks brand new. All maintenance problems are promptly addressed by in-house staff, and we try our best to solve maintenance issues the same day they are reported. You’ll even get free evaluations and preventive maintenance! Ocean Drive Beach Rentals understands that keeping your property in top condition is what guarantees guest loyalty and promotes repeat rentals. We understand that first impressions count, and our guests will form a long lasting impression of both your property and of our company. We selectively hire, train, and retain the best housekeeping crews in North Myrtle Beach. They pride themselves on the job they do and tirelessly work to ensure that our homeowners and renters are provided with the highest level of cleanliness possible. 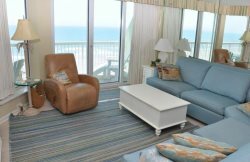 Our goal is to have a “clean” reputation to match the sparkling customer service offered by Ocean Drive Beach Rentals. We take pride in our rental properties, just as you do, and we will do anything in our power to make sure all problems are addressed promptly. We also understand how important it is to use common sense and qualified maintenance staff in order to prevent unnecessary repair bills. We pledge to regard our owners’ properties as if they were our own, taking care to provide the best in maintenance, cleanliness, and customer service. Contact us About our North Myrtle Beach Property Management Services Today!